Sideboards are often extremely underrated pieces of furniture. They are a beautiful addition to any home which offers extensive storage options, why would you not want one?! Many people keep their sideboard in the dining room as they can hold those special plates which only come out at christmas and the extra cutlery set which are saved for extra guests. Another common place for a sideboard is in the living room where many people use it to keep all the kids toys hidden and to store the old DVD’s and CD’s we all still have. We have a range of oak and sheesham sideboards available, such as our Cube Sheesham Large Sideboard which would suit any dining room. 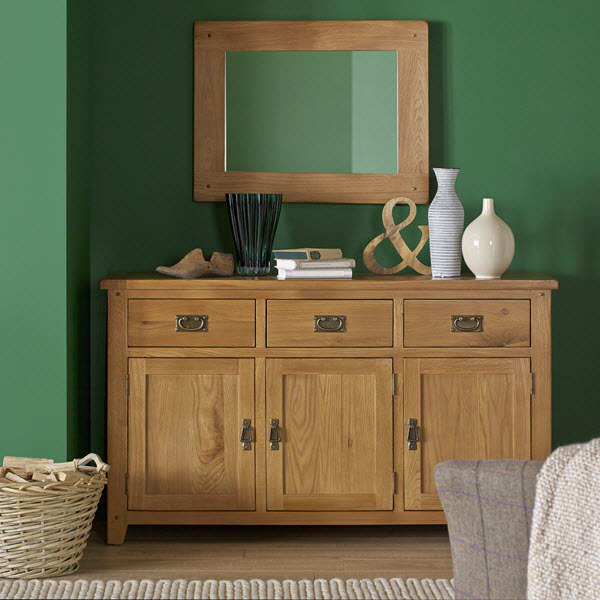 We have a few tips to make your sideboard a re-loved piece of furniture which you will want to show off to everyone. Whether you love the country rustic look or strive to achieve the minimalist and modern feel, every sideboard can achieve your desire. Symmetrical displays: Perfect for the more formal look, twin lamps or two large vases filled with fresh flowers either side of the sideboard for an elegant display. The symmetric display is easy on the eye and offers a sense of calm immediately due to the brain understanding symmetry very quickly. Asymmetrical displays: More of a casual look which offers interest and energy. You could scatter framed pictures, candles and trinkets around to keep the focus all around the sideboard. Try to create height by placing flowers, a lamp or a stack of books to keep the eye-line varied, otherwise the display may look rather ‘flat’. If you’d prefer small trinkets on your sideboard then think about hanging a picture above it to balance out the appearance. You should also keep in mind the scale and size of the objects you are using, the more varied, the better as this will keep the excitement there. Whether you choose symmetrical or asymmetrical, do not forget to mix up your textures to create layers and and interest. For example, glossy with matt, rough with smooth and fibres with metals. 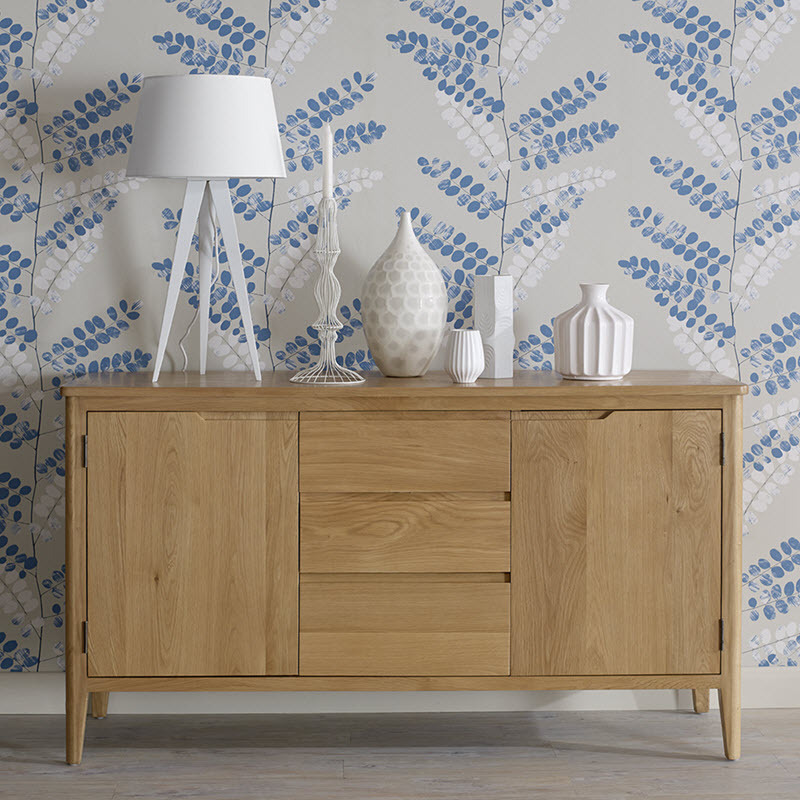 We hope our ways to style your sideboard will restore your love for your sideboard. 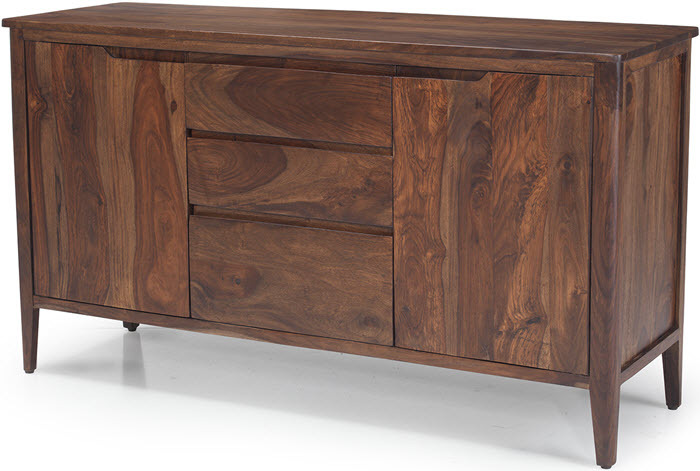 Have a look at our range of sideboards here. If you would like more information, don’t hesitate to get in touch with one of our team here at Quercus Living.